I like that this inspiring collection like other Fusion Mineral Paints does not contain harmful toxins, so we can breathe easy. VOCs or volatile organic compounds are gasses released from products that are found in everything from cleaners to cosmetics to crafting supplies; VOCs found in paints are linked to health issues and cause symptoms such as dizziness and headaches. Fusion Mineral Paint has spent over 25 years developing, testing, and refining their paint line to ensure the best-in-class paint with an environmentally conscious formulation, zero VOCs, superior durability, easy one-step self levelling application, and significantly improved adhesion and strength. With playful colours like Little Star, Little Whale, Little Speckled Frog, Little Piggy, Little Lamb, Little Teapot and Little Stork, we can paint and create a child-friendly space that is easy, affordable, and promotes sweet dreams. We used these colours on a few of our recent projects such as our DIY potting bench, and outdoor patio table. 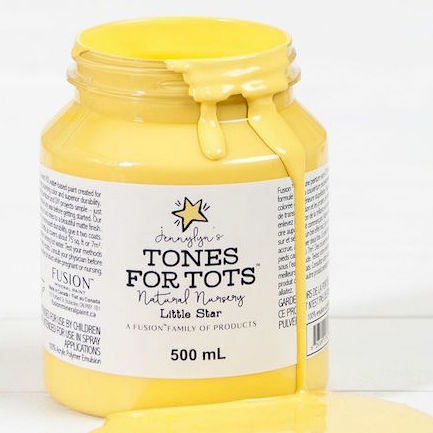 Little Star is a vibrant punchy yellow that will give a pop of colour and become the centre of attention. 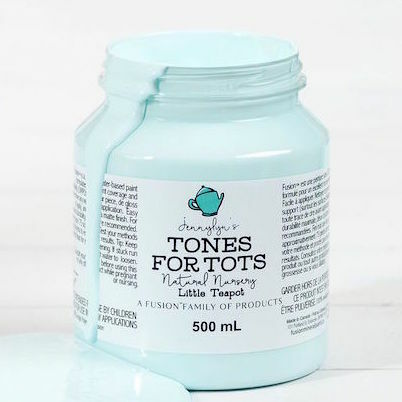 Little Teapot is a teal colour that would be wonderful to add pop of colour to small or big statement pieces. 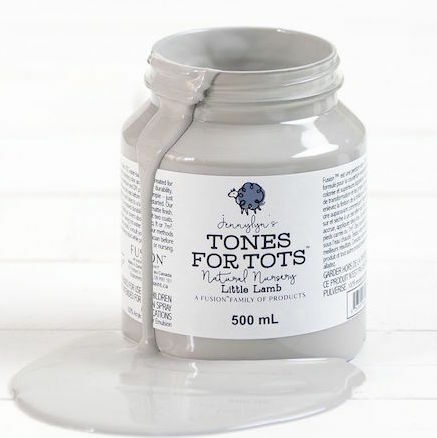 Little Lamb is a wooly neutral grey that will add a classy look to any DIY project. It would be a good complementary shade to go with other tones. 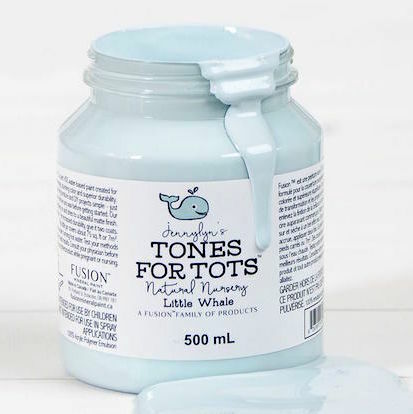 Little Whale is a calming lake blue that will add tranquility to any space. It will look good on big pieces like dressers. Little Piggy is pink shade that will add vintage colour. 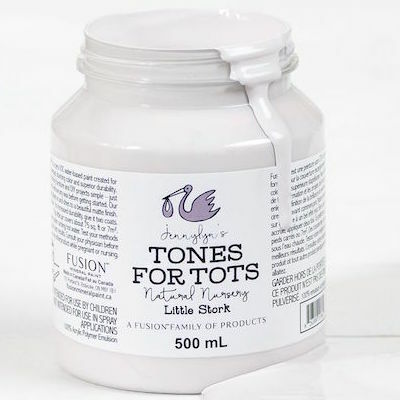 Little Stork is a warm shade of lavender that has a blend of purple and light grey. 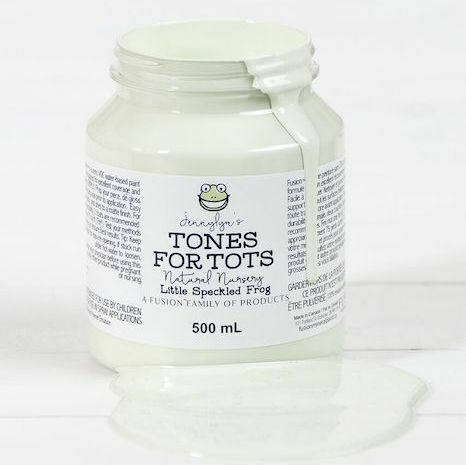 Little Speckled Frog is a minty green that will pair well with other tones. We enjoy using Fusion Mineral Paint for our DIY projects because it gives us exceptional colour, coverage, and durability. Fusion Mineral Paint has a smooth matte finish, and it is easy to work with. It requires minimal prep work, and the top coat or waxing is optional. We do not need to do any special maintenance for the surfaces we paint. Fusion Mineral paint is made with exceptional raw ingredients including ground pigments that result in a superior finish on any project. 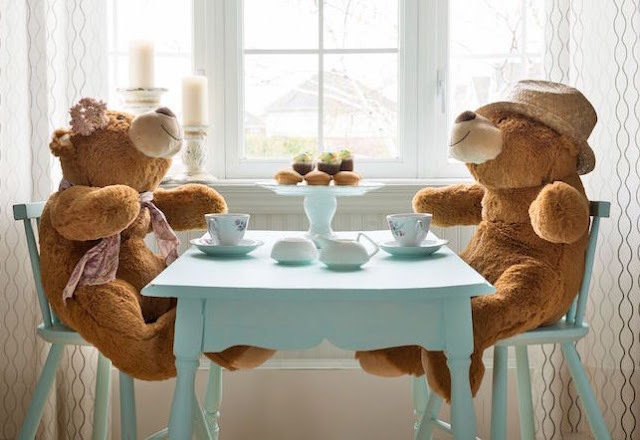 This would be great for painting a nursery or playroom. I really like the Little teapot colour.